The audio data obtained through various sources often contains much more information than assumed at first glance. With our PKI 5965 you can achieve better results from your audio recording due to latest analysis methods. So, among others, various noise suppression filters using digital signal processors are applied. Engine noise, echoes, music can be suppressed almost entirely without affecting the actual useful signal. By means of further audio processors, the useful signal isolated this way can be further amplified and isolated. Different audio recordings from different sources (telephone, room monitoring, etc.) can be assigned to persons by means of further analysis methods and can be quickly detected in the future. 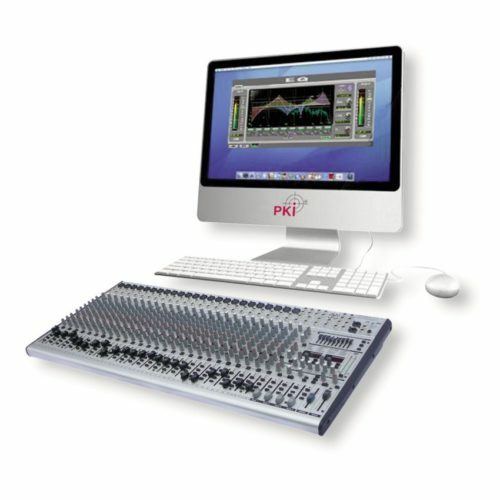 The overall system is controlled via a high-performance computer with corresponding software and digital sound cards. The graphics of the user interface are very clearly designed and offer audio experts almost unlimited possibilities to analyse and process audio recordings. Analog signals can be supplied via the built-in RCA jacks. Already digitized data are read in via the usual means, such as USB, card reader or the network. Ready-to-operate digital audio filtration system.